Valentine’s Day is only a few days away and you may be struggling with the dessert portion of your special lovey dovey dinner that you’ve planned specially for your Valentine. Well, I’m back to smother you with sweetness. Everyone knows that I love chocolate, but I do like sweet things that exist without chocolate (although, I don’t know anything that can exist without chocolate). After thinking and thinking, I came up with this recipe. It’s easy, it’s theme-y and it’s so DELISH. First, start by making some shortbread. I used the shortcake portion of this recipe and I cannot rave enough about it! I’ve never made shortbread before and I was certain that I was going to mess it up. I didn’t! And they were perfect. 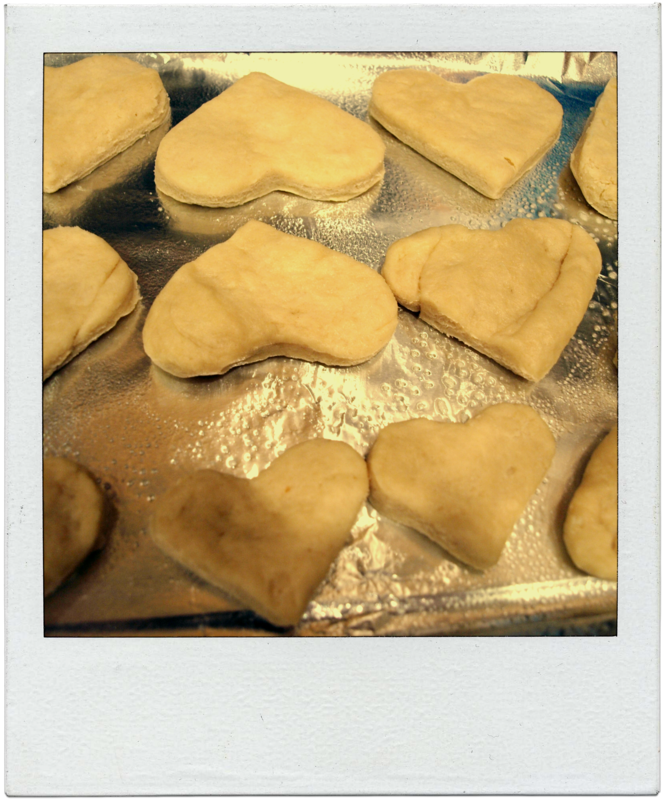 Instead of cutting them into circles, I cut them into hearts before putting them in the oven. I made some big hearts and then an equal amount of small hearts for a little pizazz. I also cut them thinner than the recipe calls for. 3” thick patties were a bit too much shortbread for my taste. I cut them a little over ¼” thick and they were great. P.S. this makes a LOT of cream. You can probably half it if you want to. But I’ll find other uses for the rest I’m sure. It’ll hold in the refrigerator for a few says. 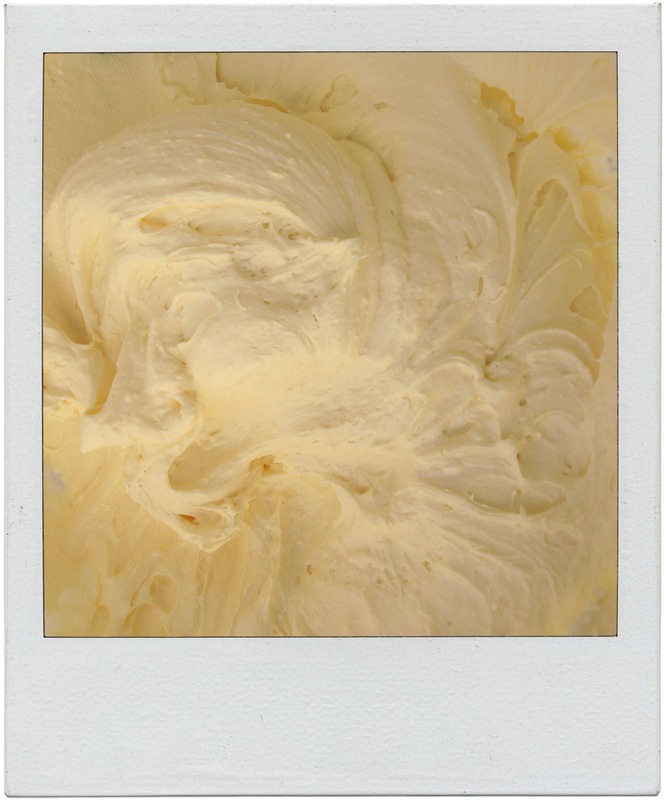 Use your discretion on the amount of time you keep it…it has dairy, so definitely refrigerate between uses. 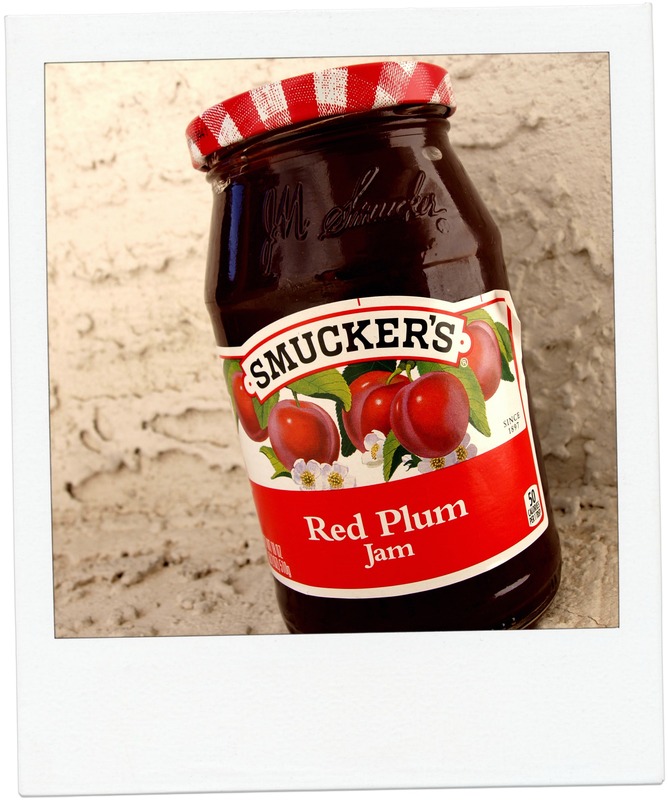 Now grab a jar of Red Plum Jam. I found it at the regular grocery store in the jam section. You can use any kind you like, but for mine, I went with plum and it was GOOOOOOOD. Melt the jelly by either heating on the stove top on low heat in a sauce pan, or by microwaving it in a glass dish at 10-15 second intervals. 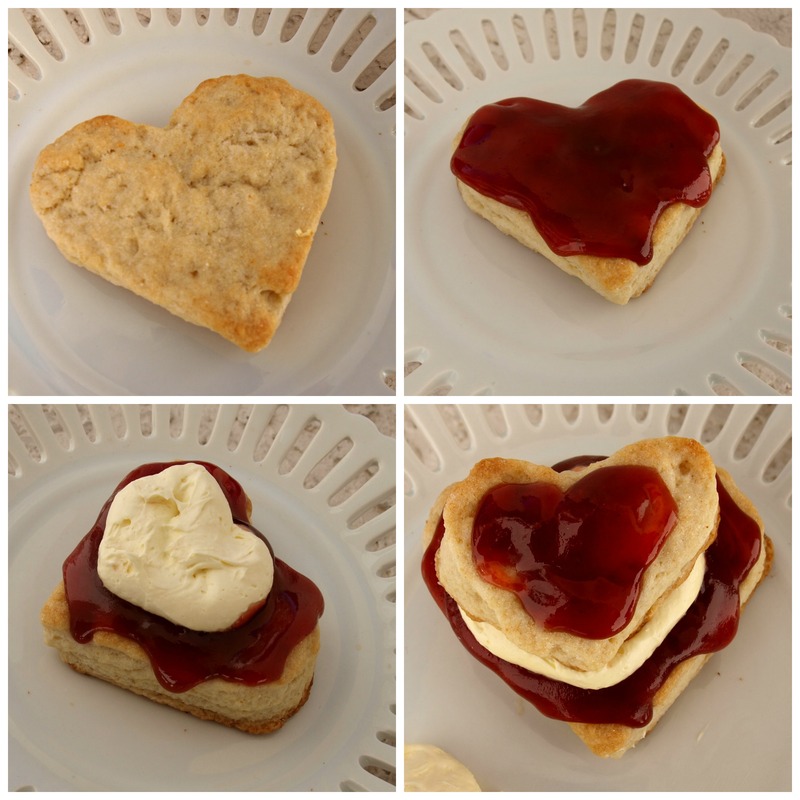 Pour the Jelly on the large shortcake heart. Add some cream to the top using a cake piping bag or a freezer bag with a hole cut in the bottom. 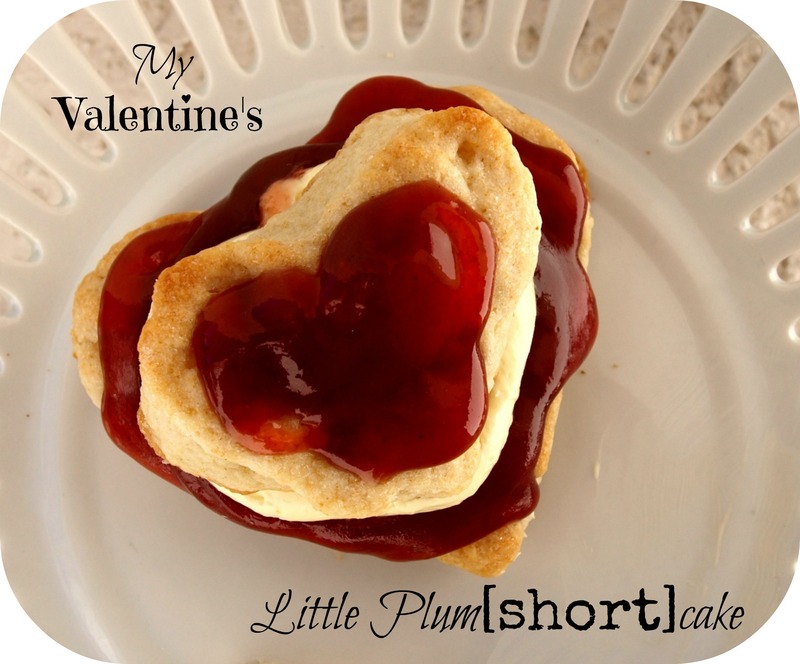 Now, place your smaller shortcake heart on top and drizzle more jam for a finishing touch. 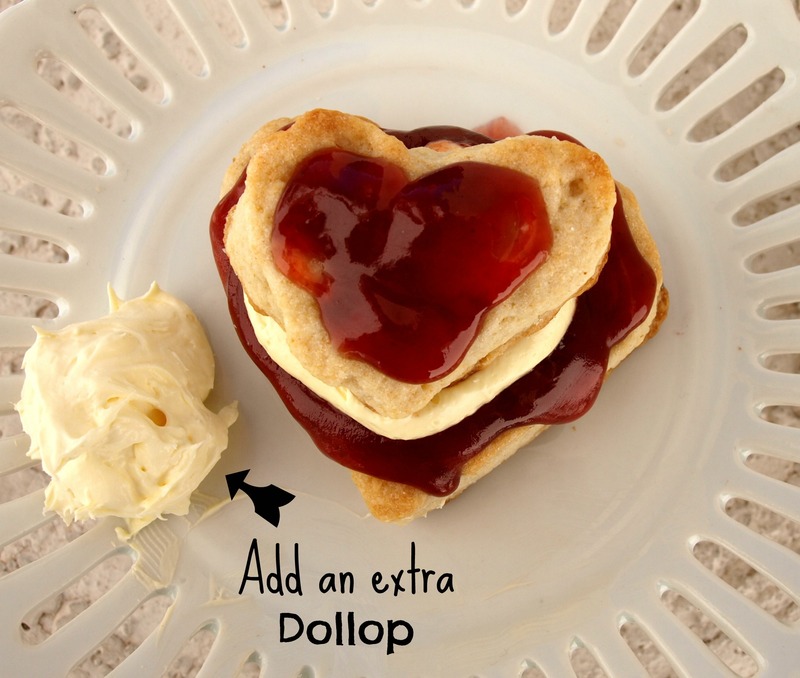 Make sure to add an extra dollop of cream if you want…why not? I really hope you enjoy this special Valentine’s Day treat. It’s so flippin’ tasty and my entire family LOVED it. It’s so versatile too! 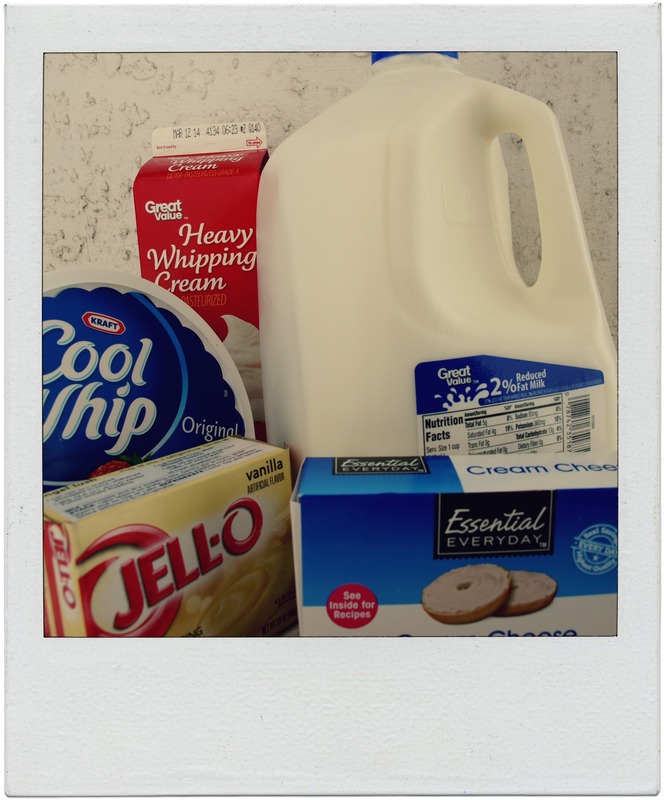 You can change up the cream by changing your pudding mix flavors. You can use any flavor of jam or even substitute it for a covering of chocolate or caramel…mmmmm. Make it how you like it!